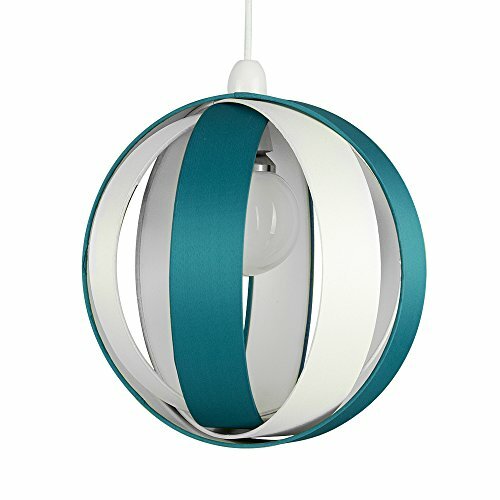 The Light Store are delighted to offer the famous Modern Fabric Cocoon Globe Style Ceiling Pendant Light Shade. With so many on offer these days, it is great to have a make you can trust. The Modern Fabric Cocoon Globe Style Ceiling Pendant Light Shade is certainly that and will be a perfect acquisition. For this reduced price, the Modern Fabric Cocoon Globe Style Ceiling Pendant Light Shade is widely recommended and is a popular choice for many people. MiniSun have added some great touches and this results in great value. Modern ceiling pendant light shade with light reflecting white inner surfaces. Quickly fits to your basic ceiling light socket - no circuitry required. 4 circular sections of the shade requirement to be spread out in to a globe shape once fitted on to the lampholder.